It’s the biggest day of your life. You want it all. You want to soak up every moment. 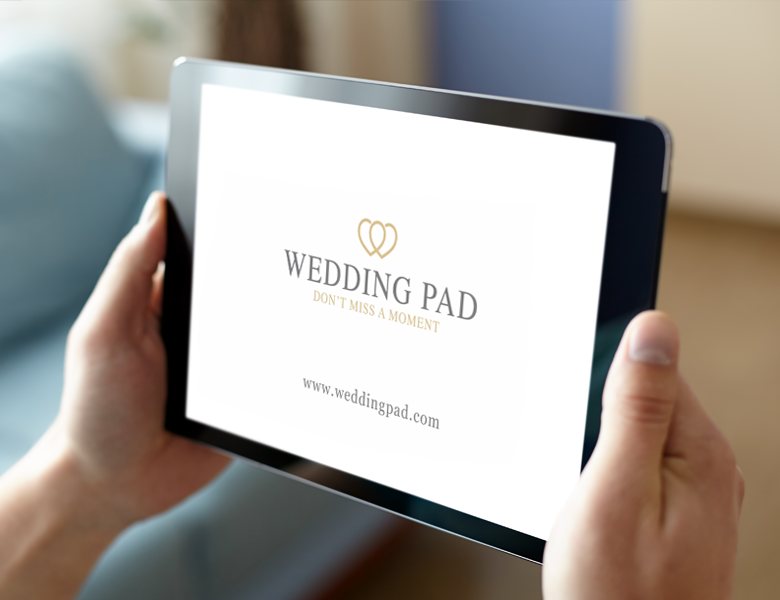 Wedding Pad completely understands this: we just needed to wrap up the technology in a brand that captured the sentiment and emotion, while not losing the bride with technical jargon. It came down to a design that quietly shouted ‘classic elegance’; something that worked across different styles; a logo that was flexible, while at the same time being distinctive. The strapline hit the nail on the head – every moment is captured.